In all her life, both before and after she was killed, Ivy McIlwraith has prided herself on her extensive knowledge of sorcery and arcane lore, her keen mind, and her ability to handle herself in any situation. But she never contemplated spending a day in a basement with two coffins and Martha Fokker! We already found out in chapter 25 what Martha thought about the situation. Now, in the new chapter 26 of Martha’s Children, it’s time to hear Ivy’s side. The outward and visible sign of an inward fear. . . . Accounting for the uncommon behavior of ghosts, Heine mentions somebody’s ingenious theory that they are as much afraid of us as we are of them. . . . There is one insuperable obstacle to a belief in ghosts. A ghost never comes naked: he appears in a winding-sheet or “in his habit as he lived.” To believe in him, then, is to believe that not only have the dead the power to make themselves visible after there is nothing left of them, but that the same power adheres in textile fabrics. . . . And why does not the apparition of a suit of clothes sometimes walk abroad without a ghost in it? Ivy is exceptional, because she was a sorceress, and deliberately tried to conserve her powers when she was killed. Since sorcerers use their souls to draw magical power, sorcerer’s ghosts have a limited ability to do so, as well. That’s why Ivy can change her appearance and actually pick up objects. But it’s also why she can’t overpower any living sorcerer unless she can surprise them, trick them, or catch them at a significant disadvantage. She could plunder Love’s mind, because Love had made herself temporarily submissive in bespelling Kammen. She could take Martha by surprise, but in any fair fight that lasts for more than seconds, she’s going to lose. It was only because she needed only a few seconds that she was able to trick sorcerer Mitchell Foster long enough to have Sally Truax kill him. By the way, ghosts over in the Dragon Lady world work a bit differently. They reside on the plane of magic when they aren’t appearing in the material world. And history records at least one magician who worked for the Office of Occult Affairs who destroyed her own soul in the last few years of her life, and thereby became one of the few people who could never be seen as a ghost or be summoned from her afterlife on the plane of magic . . . because her soul had died with her body, and, unlike 99.99% of the people, she had no afterlife of any kind. 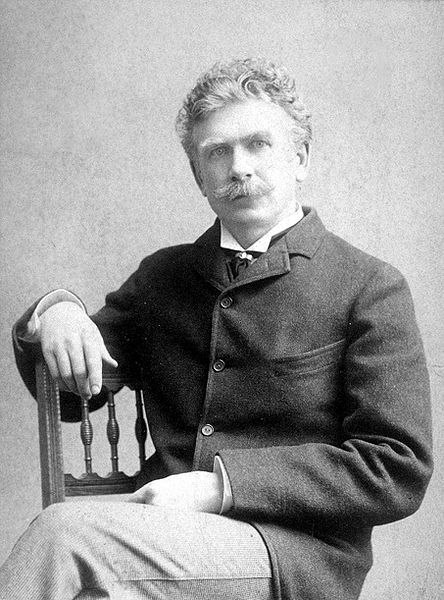 This entry was posted in Martha's Children, Writing fiction and tagged Ambrose Bierce, Chicago, Fiction, ghosts, Magic, supernatural, vampire, Writing. Bookmark the permalink. I rather like that definition of ghostly behaviour as an outward and visible sign of an inward fear. Reminded me of Sunday School where they taught us the definition of a sacrament was ‘an outward sign of an inward grace!’ I suppose all inward emotions have one outward sign or another!! Let’s hope the outward and inward are both healthy and beautiful!! There’s a similar relationship between faith and good deeds in Christian theology, although exactly what that relationship consists of was one of the issues dividing Catholics and Protestants during the Reformation. Although not disagreeing with your definitions – that’s an author’s right in an author’s world – I have to add mine. A ghost is an uncontained bundle of energy. I say this from experience. A poltergeist, perhaps, in your past? There’s a story there. Not a poltergeist. And as a challenge to my beliefs, it turned me about. We will be seeing a post about this, will we not?